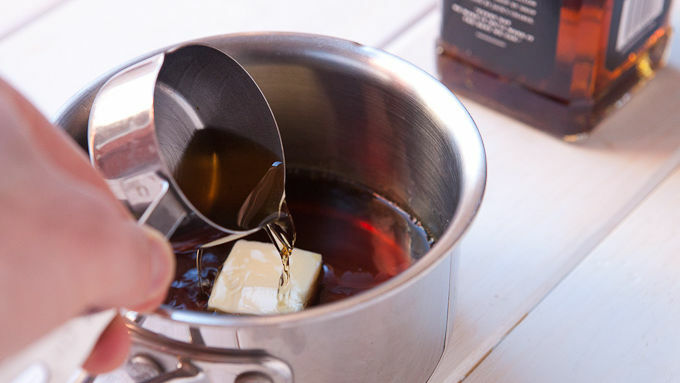 For the syrup: In a small pot over low heat, combine Jack Daniel’s™, maple syrup and butter. Stir until the mixture simmers lightly. Let simmer for a few minutes to cook off the alcohol in the whiskey. Then remove from heat and let cool. Serve warm or cold over pancakes. For pancakes: Combine all the flour, sugar, salt and baking powder in a bowl. In a separate bowl, whisk together eggs, buttermilk, and vanilla. Stir wet ingredients into the dry ingredients, and then stir in melted butter. Let pancake batter rest for 5-10 minutes. Heat up some butter or oil in the pan or on the griddle over medium-high heat. When hot, add a small spoonful of batter and cook a small pancake. The batter should spread out evenly. If it stays in one spot, the batter is too thick and you need to add more milk. If it runs all over the pan, it is too thin and you need to whisk in some more flour. Ladle 1/3 cup portions of batter on your griddle for medium-sized pancakes. 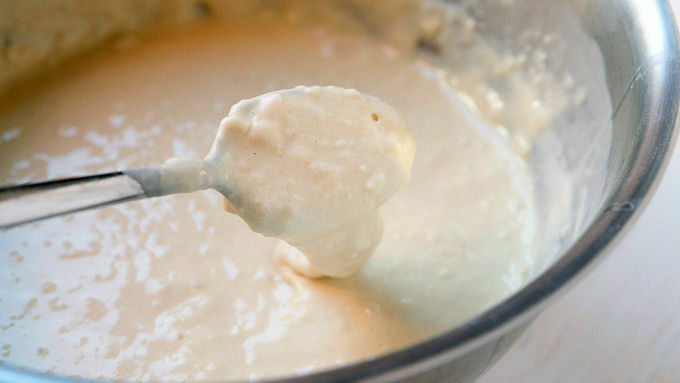 When you start to see good-sized bubbles forming on the surface of the batter, the edges around the pancake start to firm up and you can easily maneuver a spatula under it, flip the pancake. The first side will need probably 4 minutes and the second side will only need 1 or 2 minutes. 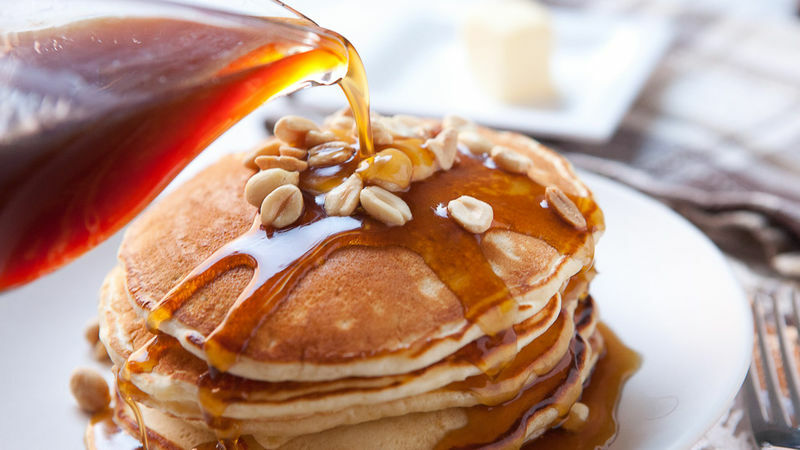 Top pancakes with some roasted peanuts and drizzle with the Jack Daniel’s™ syrup. 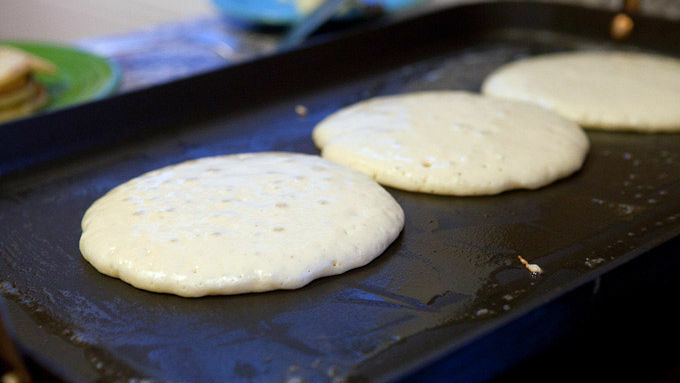 Make the pancakes with Bisquick™ for an easy and quick alternative. If you like your syrup thicker, make it in advance and let cool in the fridge for a few hours. It’ll still have great flavor, but will be really thick. A little Jack Daniel's™ whiskey takes pancake syrup up a notch. If you happen to be like me and make pancakes on the regular, the same old stack can get a bit boring. This recipe is a shock to the pancake system. But the shock isn’t in the pancakes (which are perfectly fluffy and wonderful), it's in the syrup! Instead of a standard maple syrup, I like to heat up some butter, syrup and booze to make a slightly tangy version with some bite to it! I like to let it simmer for a few minutes to cook off the alcohol, but that’s not totally necessary. If you want to get a little tipsy off your pancakes, then just heat it until everything is combined and then remove it from the heat. For the pancakes, I just used my standard buttermilk pancake recipe, which is simple to stir together and cooks up into fluffy cakes. But if you want to do this part even easier, just grab some Bisquick™ and get to the syrup part faster. I like to serve these with a few roasted peanuts on top and drizzled with the Jack Daniel's™ syrup. One tip on the syrup: After you heat it up, it will be pretty runny. If you want a thicker syrup, make it in advance and stick it in the fridge for a few hours to firm up. Chow down!